Jamie joined Southdowns in 2011 after graduating with a BA (Hons) degree in Music Production where he studied acoustics and other related subjects. He has also successfully gained a Postgraduate IOA Diploma in Acoustics and Noise Control. Since joining Southdowns, Jamie has worked on a wide range of projects including many planning applications for residential developments, outdoor sports and recreation facilities and industrial sites around the south-east. Jamie also aids with Section 61 consent applications, data processing, assisting with client reports and the installation, communication and maintenance of Southdowns remote environmental monitoring equipment. 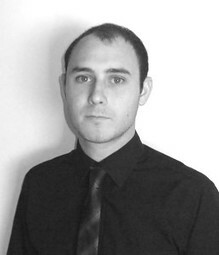 Jamie has also undertaken numerous Best Practicable Means audits, assisting contractors with reducing noise emissions. Notable projects include Crossrail contracts C405, C610, C510, C340, C350 and C272, London Bridge Redevelopment, MOD / QinetiQ and Dubai International Airport.